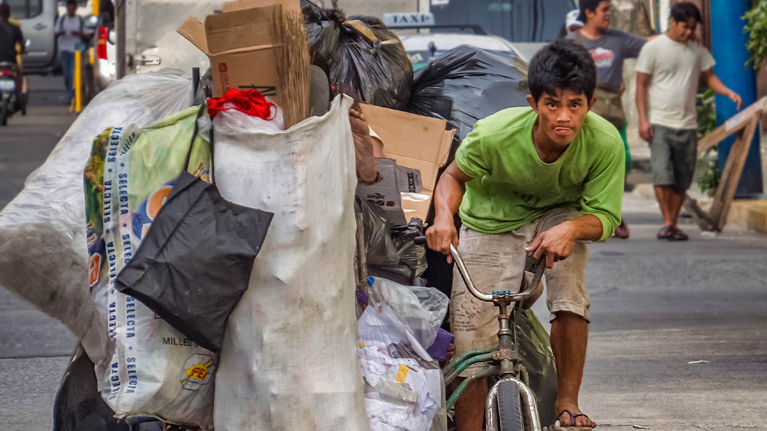 GENEVA, 13 February 2019 (ILO)* – Poor quality employment is the main issue for global labour markets, with millions of people forced to accept inadequate working conditions, according to a new report from the International Labour Organization (ILO). New data gathered for the World Employment and Social Outlook: Trends 2019 (WESO) show that a majority of the 3.3 billion people employed globally in 2018 had inadequate economic security, material well-being and equality of opportunity. What’s more, progress in reducing unemployment globally is not being reflected in improvements in the quality of work. The report, published by the ILO, cites the persistence of a number of major deficits in decent work, warning that, at the current rate of progress, attaining the goal of decent work for all, as set out in the Sustainable Development Goals (SDGs), particularly SDG 8 , seems unrealistic for many countries. The report cautions that some new business models, including those enabled by new technologies, threaten to undermine existing labour market achievements – in areas such as improving employment formality and security, social protection and labour standards – unless policy-makers meet the challenge. Among the issues highlighted is the lack of progress in closing the gender gap in labour force participation. Only 48 per cent of women are in the labour force, compared to 75 per cent of men. Women also make up far more of the potential, underutilized, labour force. Another issue is the persistence of informal employment, with a staggering 2 billion workers – 61 per cent of the world’s workforce – categorized as such. Also of concern is that more than one in five young people (under 25) are not in employment, education or training, compromising their future employment prospects. The annual report also highlights some pockets of progress. Should the world economy manage to avoid a significant downturn, unemployment is projected to decline further in many countries. There has also been a great decrease in working poverty in the last 30 years, especially in middle-income countries, and a rise in the number of people in education or training. Only 4.5 per cent of the region’s working age population is unemployed, with 60 per cent employed. However, rather than indicating a well-functioning labour market, this is because many workers have no choice but to take poor quality work, lacking security, decent pay and social protection. The labour force is projected to expand by more than 14 million per year. Economic growth rates until 2020 are expected to be too low to create enough quality jobs for this fast-growing labour force. Unemployment is expected to reach its lowest level, 4.1 per cent in 2019. Both employment growth and economic activity are projected to begin declining in 2020. People with basic education are more than twice as likely to be unemployed as those with advanced education. The sub-region is a leader in digital labour platforms. Close monitoring of such work is a growing issue for policy-makers. Despite rebounding economic growth, employment is expected to rise by only 1.4 per cent per year in 2019 and 2020. The relatively slow fall in regional unemployment figures is a result of different labour market conditions in individual countries. Informality and poor job quality remain pervasive in all types of employment. Regional unemployment is projected to remain stable at 7.3 per cent until 2020, with unemployment in non-Gulf Cooperation Council (GCC) countries reaching double that of the GCC. Migrant workers account for 41 per cent of total regional employment, and in GCC countries more than half of all workers are migrants, on average. The women’s unemployment rate, at 15.6 per cent, is three times that of men. Youth are also disproportionately affected and the youth unemployment rate is four times the adult rate. Economic growth continues, albeit at a slower rate than in previous years. The regional unemployment rate is projected to remain at around 3.6 per cent until 2020, below the global average. Structural transformation has moved workers out of agriculture, but this has not created significant improvements in job quality; a large proportion of workers lack job security, written contracts and income stability. While social protection has been significantly extended in some countries, it remains extremely low in those countries with the highest poverty rates. In Northern, Southern and Western Europe, unemployment is at its lowest in a decade and is set to continue falling until 2020. In Eastern Europe the number of people in employment is expected to shrink by 0.7 per cent in both 2019 and 2020, but a simultaneously shrinking labour force means the unemployment rate will fall. Long-term unemployment is as high as 40 per cent in some countries. Informality remains widespread, at 43 per cent, in Central and Western Asia. Working poverty, poor job quality and persistent labour market inequalities remain concerns. *SOURCE: ILO. Go to ORIGINAL.